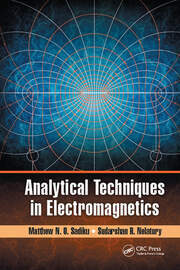 This fourth edition of the text reflects the continuing increase in awareness and use of computational electromagnetics and incorporates advances and refinements made in recent years. Most notable among these are the improvements made to the standard algorithm for the finite-difference time-domain (FDTD) method and treatment of absorbing boundary conditions in FDTD, finite element, and transmission-line-matrix methods. 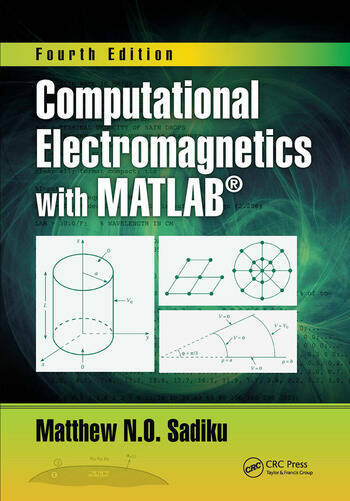 It teaches the readers how to pose, numerically analyze, and solve EM problems, to give them the ability to expand their problem-solving skills using a variety of methods, and to prepare them for research in electromagnetism. Includes new homework problems in each chapter. Each chapter is updated with the current trends in CEM. Adds a new appendix on CEM codes, which covers commercial and free codes. Matthew N. O. Sadiku received his B.Sc. degree in 1978 from Ahmadu Bello University, Zaria, Nigeria, and his M.Sc. and Ph.D. degrees from Tennessee Technological University, Cookeville, Tennessee, in 1982 and 1984, respectively. From 1984 to 1988, he was an assistant professor at Florida Atlantic University, where he worked as a graduate in computer science. From 1988 to 2000, he was at Temple University, Philadelphia, Pennsylvania, where he became a full professor. From 2000 to 2002, he was with Lucent/Avaya, Holmdel, New Jersey, as a system engineer and with Boeing Satellite Systems as a senior scientist. He is presently a professor of electrical and computer engineering at Prairie View A&M University, Prairie View, Texas. 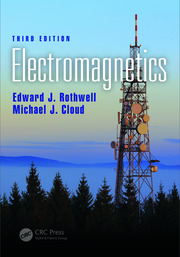 He is the author of over 450 professional papers and 70 books including Elements of Electromagnetics (Oxford, 4th ed., 2007), Fundamentals of Electric Circuits (McGraw-Hill, 4th ed., 2009, with C. Alexander), Numerical Techniques in Electromagnetics (CRC, 3rd ed., 2009), Metropolitan Area Networks (CRC Press, 1995), and Principles of Modern Communication Systems (Cambridge University Press, 2017, with S.O. Agbo). In addition to the engineering books, he has written Christian books, including Secrets of Successful Marriages, How to Discover God’s Will for Your Life, and commentaries on all the books of the New Testament Bible. Some of his books have been translated into Korean, Chinese (and Chinese Long Form in Taiwan), Italian, Portuguese, and Spanish. He was the recipient of the 2000 McGraw-Hill/Jacob Millman Award for outstanding contributions in the field of electrical engineering. He was also the recipient of Regents Professor award for 2012-2013 by the Texas A&M University System. He is a registered professional engineer and a fellow of the Institute of Electrical and Electronics Engineers (IEEE) "for contributions to computational electromagnetics and engineering education." He was the IEEE Region 2 Student Activities Committee Chairman. He was an associate editor for IEEE Transactions on Education. He is also a member of Association for Computing Machinery (ACM) and American Society of Engineering Education (ASEE). His current research interests are in the areas of CEM, computer networks, and engineering education. His works can be found in his autobiography, My Life and Work (Trafford Publishing, 2017) or his website: www.matthewsadiku.com. He currently resides with his wife Kikelomo in Hockley, Texas. 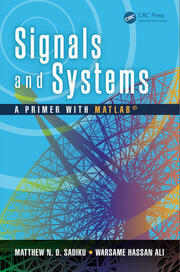 He can be reached via email at sadkiu@ieee.org.